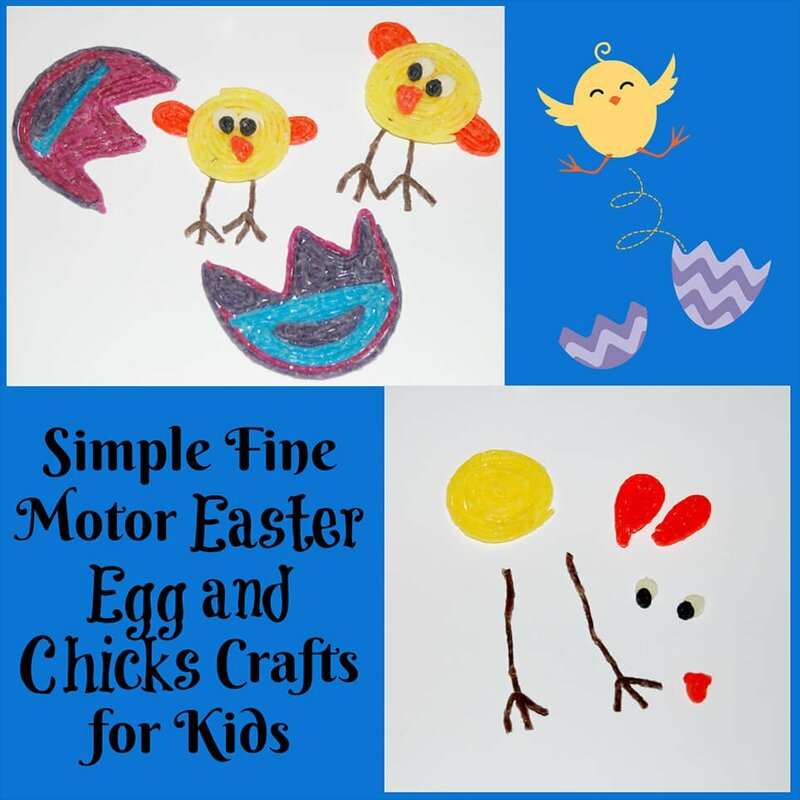 Fine Motor Easter Egg and Chicks Crafts for Kids! With March just around the corner, kids can work to develop fine motor strength by playing and creating fun spring crafts with Wikki Stix. The Easter Egg and chicks crafts are simple to create while encouraging fine motor muscle strength and control. 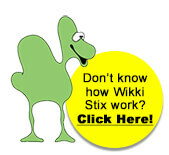 Gather your Wikki Stix at home for an enjoyable day of creation and play. Scissors (reminder: younger kids can easily cut Wikki Stix with safety scissors – it’s a great way to reinforce scissor skills with a new texture, too). 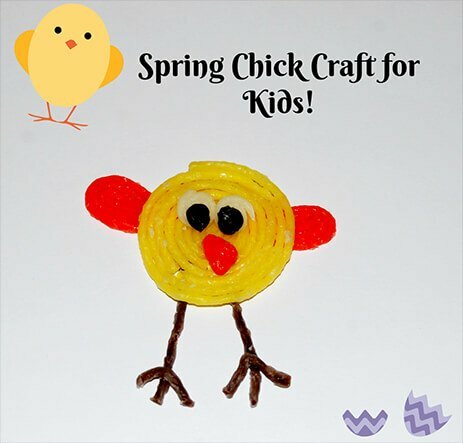 Prior to creating the Wikki Stix Easter Eggs and chicks crafts, set out Wikki Stix and scissors on a large tray or table as an invitation for kids to play and create. 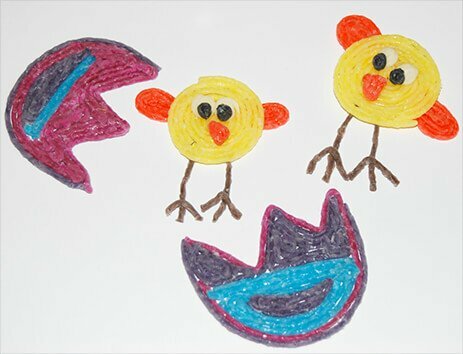 Kids can create the “hatched” Easter eggs with any colors of Wikki Stix desired. Using two Wikki Stix, create two half circle shapes. 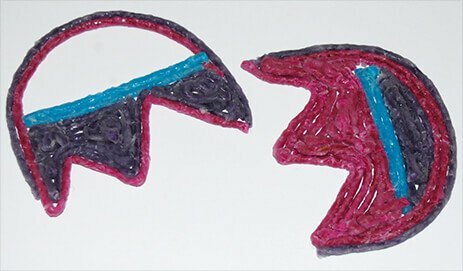 Use two additional Wikki Stix to make two “W” patterns and connect to the ends to the half circles (see photo below). 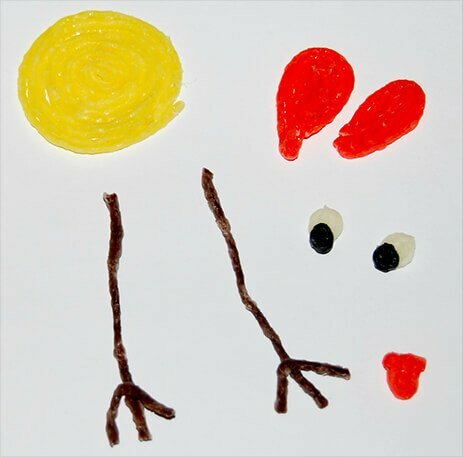 Kids can make any patterns with various colors of Wikki Stix to fill-in their “hatched” Easter egg crafts. Kids can use yellow Wikki Stix to make a pinwheel or tight spiral shape. Wrap 5-6 yellow Wikki Stix around itself until kids have a tight yellow spiral (this will be the chick’s body). Two orange Wikki Stix teardrop shapes can be made to resemble the chick’s wings. Kids can create a teardrop shape from half of an orange Wikki Stix (fold the Wikki Stix and cut in half) and then fill-in the teardrop shape with the remaining half. Make two teardrop shapes and press the orange “wings” behind each side of the created yellow chick’s body. Kids can create eyes from smaller cut pieces of white and black Wikki Stix formed into balls or tiny spirals. The beak is created with a small orange Wikki Stix triangle. The chick’s feet are made with brown Wikki Stix. Cut one brown Wikki Stix in half to be the “legs” for the chick. Two smaller pieces of brown Wikki Stix are formed into “V” shapes (and inverted) to resemble the chick’s feet (see photo below). Invite kids to make several matching Easter Egg halves. Choose one player to hide the Easter Eggs around the house or outside. Kids can hunt to find the matching Easter Egg halves. Kids can create a Wikki Stix spring landscape with various animal crafts or flowers. Place 5 of the created Wikki Stix Easter Eggs on top of a paper straw and learn a fun counting poem.